Fukuoka city mayor Soichiro Takashima and Taipei city mayor Ko Wen-je shake hands after signing the MoU. 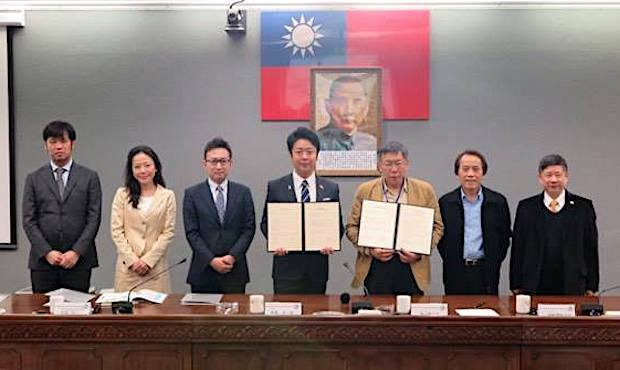 Municipal governments of Japan’s Fukuoka and Taiwan’s Taipei earlier this month signed an MoU (Memorandum of Understanding) on mutual support by Japanese and Taiwanese startups upon expanding their businesses to the respective markets. 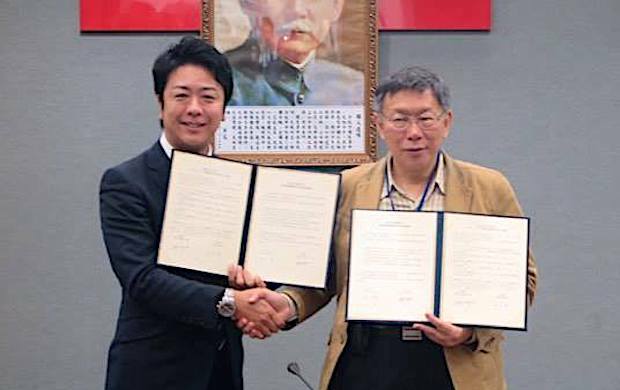 Fukuoka Mayor Soichiro Takashima visited the Taipei City Hall to sign the MoU with Taipei Mayor Ko Wen-je, which was followed by a joint press briefing. 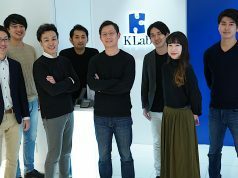 Taipei City has established Taiwan Startup Hub and other incubation facilities to encourage entrepreneurship among the younger generation while Fukuoka City has set up several similar venues such as Startup Cafe (planned to be moved soon to the former Daimyo Elementary School site from the current Tenjin area premise in Fukuoka’s city center). 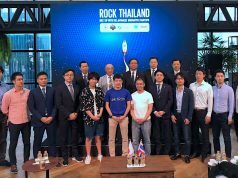 Some of our readers may recall that Fukuoka City held a competition to choose Taiwanese startups to be invited to the former at Taiwan Startup Hub back in July of 2016. 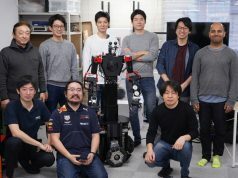 Mayor Takashima said that Fukuoka City has introduced these nine Taiwanese startups to a major Japanese department store and other firms through business collaboration and matchmaking opportunities like Fukuoka Startup Selection. Along Mayor Takashima, startup founders and entrepreneurs from Fukuoka were participate in the MoU signing ceremony. Taipei City Mayor Ko said he wanted to invite them to the city’s brand new incubation hotspots such as Center for Innovation Taipei (CIT), Taipei Co-Space and digiBlock, which will be completed in Taipei Metro’s Yuanshan station neighborhood by the end of this year. Offering overseas business expansion support by partnering of Startup@Taipei and Fukuoka’s Startup Cafe.